The first implementation of the MVC pattern was found in Smalltalk-80 - a programming language released in 1980. Smalltalk is a pure object oriented programming language that's very interactive and MVC was one of the core features of the implementation. Ruby on Rails is a very popular Ruby web-framework that uses MVC. The client-server environment of web-applications makes things more complicated than the original environment that MVC was invented in. This is mostly because the view can't easily observe the model (at least not without Ajax or Comet communication). 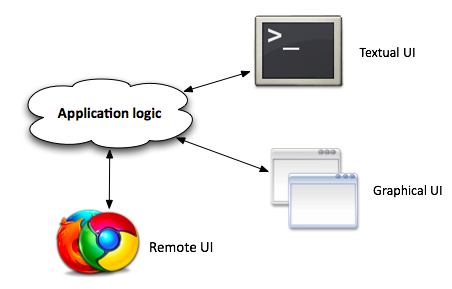 Apple's Cocoa framework is used to create Mac OS X and iOS applications. 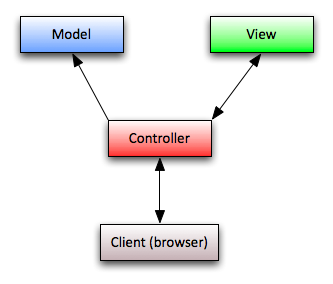 Cocoa uses a lot of design patterns and MVC is one them. ASP.Net started off using a pattern called Model-View-Presenter, but this pattern got "replaced" when Microsoft introduced ASP.Net MVC, which implements a similar MVC pattern used in Rails or Django.